Jurassic World, the fourth installment of the Jurassic Park film franchise started by Michael Crichton and Steven Spielberg over 22-years ago, comes out next weekend. Today, the newest and final trailer for Jurassic World hit the internet, and it’s phenomenally terrifying. The latest Jurassic World trailer has none of the quips and the Indiana Jones-esque one-liners from possible future Indy, Chris Pratt. The latest Jurassic World trailer dispenses with the exposition about mutated dinosaurs being terrible mistakes and velociraptors being trainable that we’ve seen in the other trailers. The latest trailer for Jurassic World is downright scary. Filled with the overall arc of the mutated dinosaur cracking out of its egg, we’re treated to the most complete images yet of the massively frightening new mutated dinosaur engineered by Jurassic World’s owners to apparently spice up ticket sales, (as if dinosaurs weren’t enough.) Accompanied by an eerie score that really isn’t like anything we’ve heard before in a Jurassic Park film, the new Jurassic World trailer might just be the one that makes you realize that Jurassic World is offering something more than the first three films in the Jurassic Park series did. Jurassic World is already getting a lot of mostly positive pre-release buzz, and should be considered the big blockbuster for the month of June, with no superheroes standing in its way. Some reviewers call it more of a “monster movie” than a dinosaur film, but perhaps that’s just what the paleontologist ordered to get the Jurassic Park series back on track. Most reviewers say that Jurassic World isn’t as good as Steven Spielberg’s original Jurassic Park, but then again, how could it be? Jurassic Park introduced the world to believable CGI, (before its release, the craziest thing we’d witnessed on the big screen CGI-wise was the T-1000 terminator in Terminator 2: Judgement day. ) Jurassic Park jumped realistic CGI to the next level, a level we’ve all grown accustomed to. It’s second nature for us. We expect it as audiences. On the flip side, most reviewers are also saying the Jurassic World is — forgive the pun — worlds better than Jurassic Park: The Lost World and Jurassic Park III, which is a great sign. 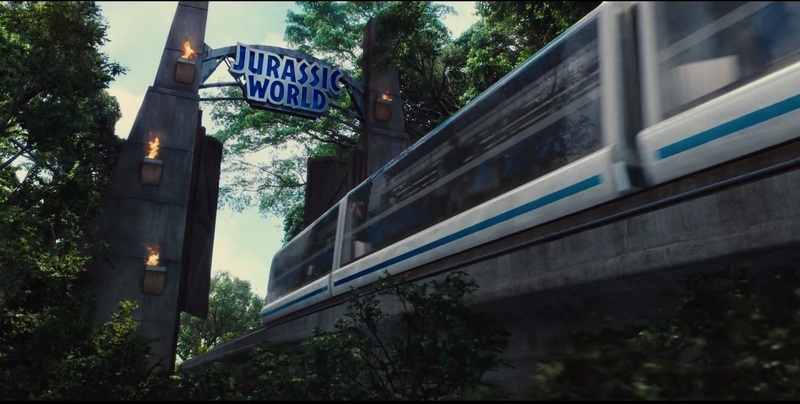 With Chris Pratt at the wheel, (the actor all the guys like and all the girls swoon for) Jurassic World should please audiences unless the script is a total train wreck. However, from the early, positive reviews, it sounds like Jurassic World will be a healthy summer blockbuster for Universal.